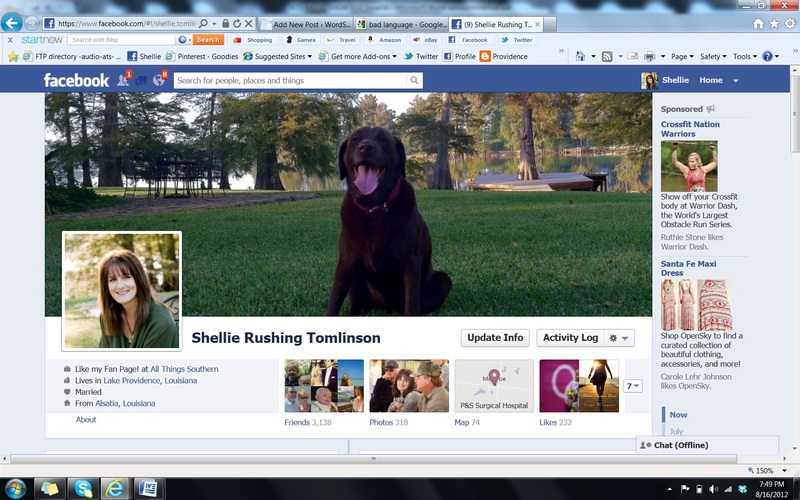 This entry was posted in Social Media, Writer's Life, Writing and tagged delay, God, offense, prompt, Shellie Rushing Tominson, Social Media by Shellie Rushing Tomlinson. Bookmark the permalink. An anabaptist saying for watch what you say: Taste your words. Taste your words– I like that, Sharon! Such good advice. I do try to consider how my words will be heard at the other end of the tweet and post, but still … I’m posting Ephesians 4:29 onto my laptop as a reminder! This was a great reminder to be careful what we post on Twitter for Facebook. Thanks, Shellie. And I agree with you on the coarse language. Can’t we all just clean it up and use words that actually communicate thougths and ideas? Shellie, that was a great way to put it! I agree wholeheartedly with you. I read once from an editor how she felt that if you don’t have anything nice to say, don’t say it – especially if you’re looking for representation or an editor. She went on to say that they search out their potential clients on the social media sites to see if they would be a good fit. That really made an impression on me for online issues, but the Divine Delay is a great way to remember He’s watching and listening in our everyday walk. Thanks for sharing your thoughts – great post! Shellie, you are so right. It hurts my heart when people post unsavory things on Facebook, or any other social media. God is ‘always’ watching. Way to speak up, Shellie! “Lord, put a watch over my mouth.” Good prayer. Could save a lot of pain. One thing I prefer about writing over talking is how I can always press the delete key before sending. Think before sharing, right?